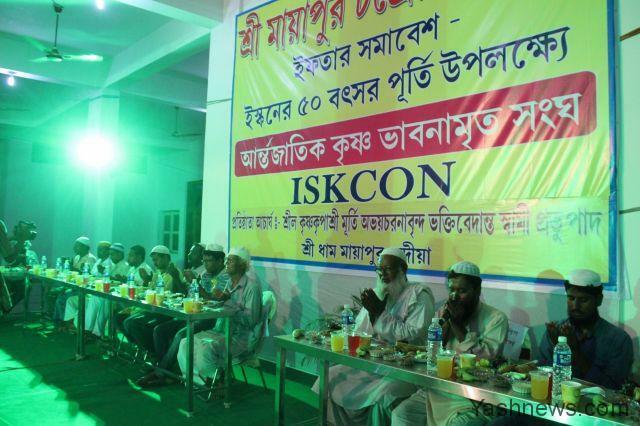 To celebrate the over 400-year-old amity between the Hindu and Muslim communities in West Bengal’s Nabadwip, the International Society for Krishna Consciousness (ISKCON) Mayapur on Wednesday 22nd June, 2016 organised an Iftar party with elected Muslim panchayat members as its guests inside the temple premises in Gita Bhawan Building. 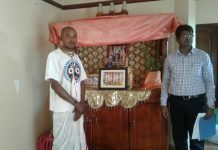 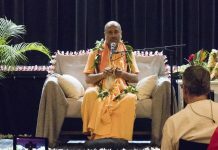 The event upholds the legacy of brotherhood between the two communities, the seeds of which were sown in the 16th century by Sri Chaitanya Mahaprabhu and his relationship with the then magistrate, Chand Kazi, through his sankirtan (congregational chanting) movement. 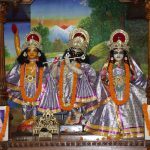 At the Geeta Bhavan premises of the temple in Mayapur in Bengal’s Nadia district, elected panchayat members of the Muslim community of Mayapur Bamanpukur Panchayat participated in the ‘Iftar Samabesh’ along with presidents and secretaries of several mosques and one madrasa, said HG Jagadhatri Prabhu, public relations coordinator of the temple. 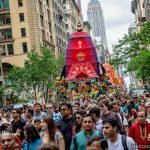 “Just like last year, in 2016 Jagannath Rath Yatra and Eid have fallen on the same day. 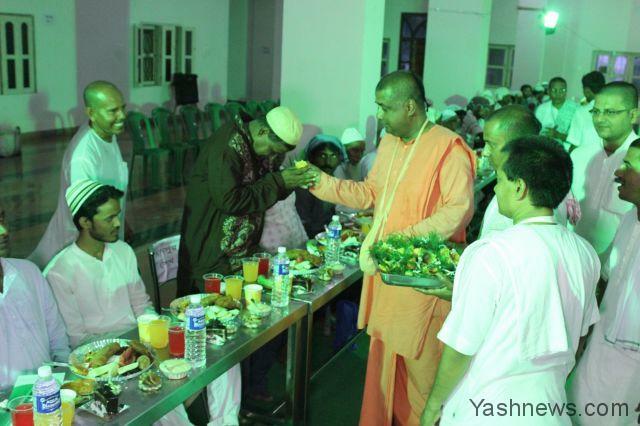 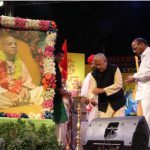 So the ‘Iftar Samabesh’ is aimed at sending a strong message to the universe about peace, harmony, love and trust among communities,” said Prabhu. 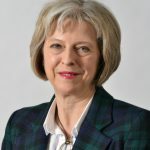 Previous articleHow does one change the heart?